An exclusive interview with Bangkok-based Harit Srikhao on winning the Young Portfolio Award in the Invisible Photographer Asia Awards 2018 and his surreal world of mythology and politics. I got started in photography quite young – I think when I was 13 years old. I just picked up my mum’s camera and documented the pictures of my friends, family and my travels. The photographers who influenced me at the beginning of my practice in photography were masters of photography like David Alan Harvey and Steve McCurry. But after that, I had a chance to participate in the Angkor Photo Workshop with Antoine d’Agata and he very much changed my perspective of photography. I began to shift my photography towards more an artistic and personal approach. All of my projects are inspired by my own experience and my memories. For example, like Whitewash (2015-16) is my memories of the military crackdown when I was in high school. Back then, I didn’t know anything so it took me quite a long time to analyse what was happening. After that, I recreated the scenes from my memories, so a lot of my work is created by this process. The latest one Mt. Meru (2017) is a continuation of Whitewash, so basically it’s based on my personal feelings but also reflect the political landscape of my country. For me it’s not that difficult to do a project from my own memory but it has to take a very long time to construct the pieces of the memories. It’s like a collage. So when I’m making a project, I take a very long time to make it, like 2 years that I started to collage it piece by piece to become very clear in the end. When I’m at the beginning of the work, it’s very hard because everything is about the feeling and very abstract. So what I did the most is I read a lot of text, a lot of newspapers related to the political issues in my own country. So I started to know which direction I’m to going to go and continue. However in the end, I almost demolish this part of the process because for me fact is not important. What is important is the surreal world that has been created. I get a lot of influence from surrealist work. Surrealism is a very powerful art form and weapon. For me, the imagination is very strong and is beyond the limit, so it’s very important for my work. I read a lot but I would say I am not a good reader because I just pick the pieces of the essay that I like and make a collage of it. So in the end it is not a one hundred percent fact. Maybe it’s all wrong, but it’s kind of I pick and recreate my own fiction. So after I read the fact, I also write my story, then read, then write, then take a photograph. It’s like I let my photograph be an illustration of my fiction. And I do this for a long time. I think if I had to give any advice to younger photographers, it’s very important to find your own world. I mean photography is not about documenting what you see or what another person sees, but it’s about going to a place that nobody else can go but you can and you take a photograph of it and you can say to the world that this place exists, even though it’s a very weird world. So I think it’s very important to stay in your own world. And, at the same time your world has to reflect what’s happening in your real life. I don’t want to identify myself as a Thai artist even though my work very much demonstrates what’s happening in Thailand. But it’s because I was there. The important thing is I was there and this is how I felt. So in the future if I go to another place I can tell a story about another place. I don’t want to fix myself to the identity of a nation. When I first heard that I won the award I was very happy because it’s my first award, first winner award for me. It’s very important for me because one of the jurors is from the Angkor Photo Workshop and it has been ten years. So it’s a good moment to meet up again. I have to thank Angkor Photo Workshop. It was a great opportunity to be a participant at that time. And of course, I’d like to thank my family and friends, and senior photographer in Thailand Manit Sriwanichpoom. Yes! Harit Srikhao was born in 1995 in a Pathumthani suburb in Thailand. Srikhao started taking photos when he was 13 years old with his keen eyes. At the age of 16, he was selected to attend the Angkor Photo Workshop of Magnum photographer, Antoine d’Agata. After coming back to Thailand, he started his first series, Red Dream (2012), by returning to the route that he got lost in the night of the military crackdown in 2010. 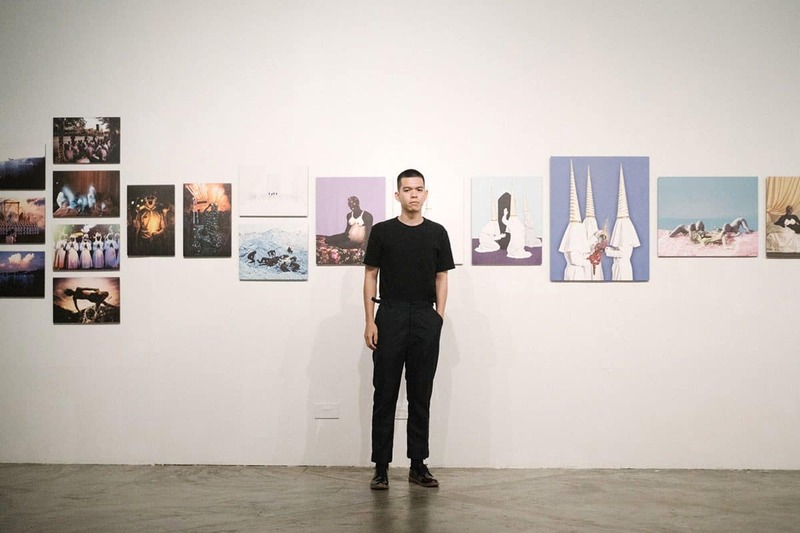 Srikhao continually creates works in fiction, and his works have exhibited internationally, e.g., Getxophoto International Image Festival (Spain) and reGeneration3:New Perspectives on Photography Exhibition by Musée de l’Elysée (Switzerland, England, Mexico and China) and Asia Pacific Triennial at Queensland Art Gallery, Australia in November 2018. Harit Srikhao (Thailand) is the Young Portfolio Award Winner in the Invisible Photographer Asia Awards 2018.